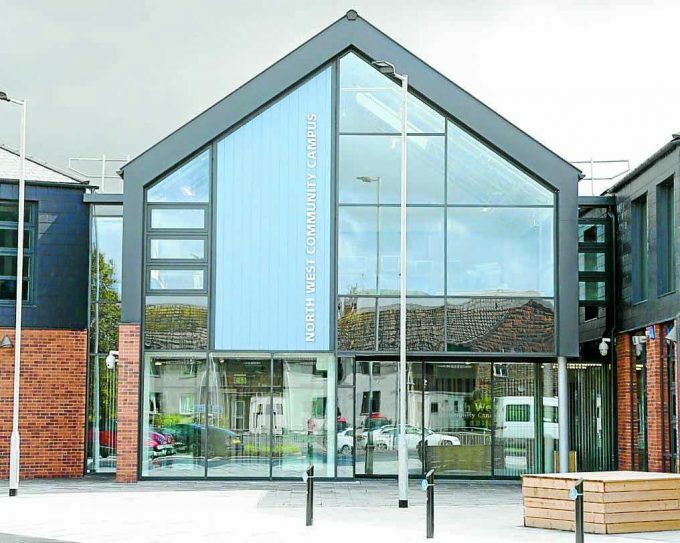 PUPILS affected by the emergency closure of the brand new North West Community Campus will be back in the classroom tomorrow. Students are to take up desk space at other schools in the town from Wednesday as the council works to minimise disruption to their learning. Meanwhile, the results of an independent safety inspection are still to be examined and the council is ‘seeking absolute assurance that every classroom has been deemed safe’. A spokeswoman confirmed today that the local authority is committed to getting the £28m North West Community Campus in Lochside open again. And she said: “We want pupils and staff back in classrooms as soon as possible. “The outcomes of the independent inspection are still being determined, and the council is seeking absolute assurance that every classroom has been deemed safe. “Decisions will be taken as appropriate once we have assurances that the facility is safe for pupils, staff and the wider community. S4 pupils will be travelling to St Joseph’s College and those in S5 and S6 will be learning at Dumfries High School. Pupils in P7, S1, S2 and S3 will be based in Lochside Primary School, along with teaching staff, from Thursday. Nursery to P6, as well as the learning centre and all associated teachers and staff, are to be taught in St Ninian’s Primary School from Thursday. Additional study support is also planned for senior phase pupils throughout the year to mitigate the impact.